Stéphane Hessel, a former BCRA officer and the last survivor of a group of thirty-seven agents deported to Buchenwald in August 1944, died today, aged 95. I felt very privileged to interview him at his home in Paris a few years ago. I had half-expected a rather stuffy French diplomat, but I could not have been more wrong. He answered every one of my questions with complete candour, and was even willing to talk about his darkest moments during interrogation at Avenue Foch (he described himself as 'not one for nightmares', though once or twice we touched on incidents which were clearly more difficult for him to revisit). As with so many genuine resisters he was disarmingly modest about his achievements, not least his extraordinary escape with Forest Yeo-Thomas and Harry Peulevé from Buchenwald's human guinea pig block. He returned to the camp several times, most recently to unveil a memorial to his executed comrades, in 2010. I recently received a query about Christopher James Lord, codenamed “Vole”, an escape line organiser dropped into France during April 1943. The story of his uniquely disastrous mission is a bizarre and fascinating one. A grey-haired senior banking official in his early forties, Lord hadn't appeared an obvious choice for dangerous undercover work. 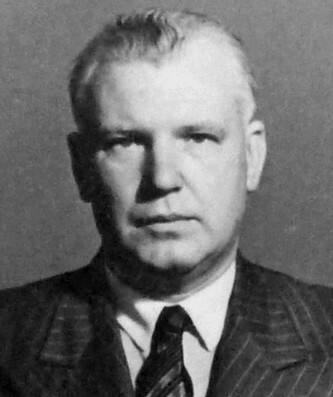 But in 1942 he ditched his desk job at the Ministry of Economic Warfare to join SOE's Belgian Section, eager to begin training as a secret agent. The Section's recruitment head, fashion designer Hardy Amies, considered him a real catch, and Lord's instructors approved of him too, describing him as “a first class organiser”, just the kind of worldly, well connected and dependable character they needed. They had a special job in mind for him: the construction of “Vole”, a new escape line able to smuggle agents and mail from the French/Belgian border to secret landing grounds in southern central France, from where they could be picked up by the RAF. Working under him would be two assistants, both wireless operators. Captain Wilfred Waddington (codenamed “Rat” - aptly named, judging by his mugshot), an accountant by profession, was taciturn and reserved, a solid if unremarkable choice. But Captain Guy Vivian (codenamed “Goat”), a former GPO switchboard operator from Antwerp, inspired anything but trust: a shrewd, cynical opportunist, his life revolved around nightclubs and women; he loved to boast of his sexual conquests, and reckoned on having bedded a thousand women. When the mission was delayed due to bad weather some SOE staff began to wonder whether they'd picked the right men for the team, but Amies' later justification for the selection would have received sympathy from other country sections, who knew his predicament all too well: the mission had demanded three agents, and ”there was just no other British personnel available to do the job at that time”. Nevertheless, the assignment would prove to be a fatal one. Equipped with .32 Colts, cyanide tablets, and wireless sets hidden in a tar drum and a varnish tin (SOE's equipment section had further camouflaged the containers by actually filling them with oily liquid, rendering the sets almost useless), Rat and Goat parachuted near the town of Laissac in the Aveyron on night of 15 April 1943. Lord, having broken an ankle during training, was flown into northern France the following night, then took a train down from Paris to meet them. This early part of the operation appears to have gone to plan, but things were about to take a very odd turn. According to Waddington's later testimony, during those first hours Lord “completely lost his nerve” and must have suffered “a kind of nervous breakdown”. He immediately holed up in the Hotel Solinhac at Laissac run by his sister-in-law, and refused to budge from his room for the next three weeks. He and Goat eventually coaxed him out, handing him some new identity papers in a train station café at nearby Carmaux, before Lord set out for the Ariège, presumably to begin meeting his contacts. He was never seen alive again. Claiming seniority in Lord's absence, Goat later took his remaining SOE funds - 150,000 francs left at Lord's hotel, and 50,000 given by Lord to the mayor of Laissac, Dr Couronne - saying he'd been authorised by London to do so (the files show that London knew nothing about it). He also secured a total of 410,000 francs in loans from Victor Pycke, a resistance contact in the Ariège. Goat then took off for Paris, leaving Rat behind to maintain wireless contact with London. Borrowing a further two million francs from a wealthy connection of Pycke's, Jacques Santu, Goat set himself up in a smart apartment at 48, rue des Belles Feuilles, and got down to the serious business of enjoying himself, spending much of his money on women and travelling around the country. Rat, already nervous about his own safety, complained to London about Goat's extravagant lifestyle and flew back to England in September. Goat was having too good a time to return himself, but his run of good fortune was nearly exhausted. When he discovered that one of his girlfriends - a twenty-one-year-old Gestapo informer named Marthe-Paulette Lucotte - had found out about his clandestine work he strangled her, bundled the corpse into a sack and buried it in the Parc de Saint-Cloud. On 13 November 1943 a report arrived on Amies' desk in London. It was from Goat, sent via Switzerland, saying that the Vole escape line was finally ready to begin work: he had safe houses and agents established from Brussels down to Châteauroux, and Lysander landing grounds waiting for approval. What he really had accomplished and how much truth there was in this message is difficult to say, since the network would never be put to the test. Goat and Santu hadn't done a very good job of burying the body, and within days the police had tracked down and arrested Goat, seizing documents, arms and a wireless set in his apartment, proving his links to the resistance. 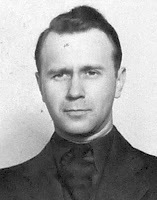 Santu, who managed to flee to Geneva, heard from one of his police sources that Goat was confident that the SS would try to recruit him as an informer, but other evidence suggests that his position soon become far more desperate. According to the report of a fellow captured agent, Marcel Rousset, Goat attempted to break out of the Gestapo prison on Place des Etats-Unis sometime around the beginning of December. He attacked one of the guards, but another three were alerted before he could get away and he was shot and killed instantly. 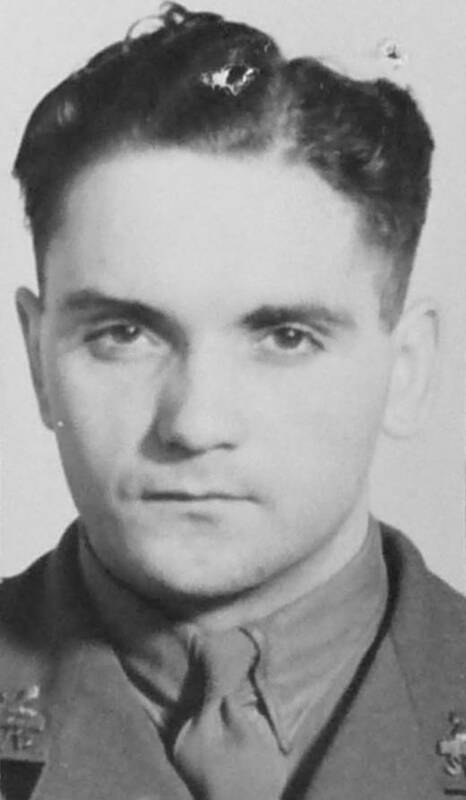 The other prisoners were hauled out of their cells to gaze at his body, with a warning that the same fate awaited anyone else who tried to escape (six months later Rousset did try it, knocked out a guard, jumped over a garden wall and vanished; he later took part in the liberation of Paris, and was awarded the Military Cross). Having safely returned to London, Waddington had given a detailed report on his mission but could give no explanation for the mysterious disappearance of Vole. Perhaps he'd taken his own life, or slipped away quietly to take unofficial retirement in some French backwater? Mrs Jeanne Lord, who'd already guessed the nature of her husband's secret work and had heard nothing from him since April, badgered the War Office for an explanation. In a preliminary note to SOE's security section Amies concluded, “I think that we shall have to come fairly clean” and at a meeting in December he admitted to her that they had no idea where he was, or indeed if he was still alive. Skeptical of the account of Lord's mental breakdown, Mrs Lord began her own investigation. Soon after the Liberation she returned to France, collecting evidence from witnesses in and around Laissac, including from her sister who'd received Lord at her hotel after his arrival in France. But the real breakthrough came much later, in March 1946, when by chance her brother heard of a local story involving a body found in a well in the spring of 1943, in the village of Tanus, just a few miles from where Lord had last been seen. With the help of the local mayor, M. Treyat, she had the corpse exhumed. A conclusive fingerprint match against SOE's records was now impossible, but the evidence of an ankle fracture and dental records confirmed it was her husband. Dr Trillot, who carried out the autopsy, also stated that the body had been shot four times, and that a Colt pistol had been found at the scene. Most of Lord's clothes had been removed, and the police files had apparently later been stolen. Trillot had let slip that he believed “Lord was murdered by two members of the Intelligence Service as ‘ settlement of accounts ’” but when Mrs Lord approached an official at Albi he refused to confirm Trillot's assertion or to investigate the matter further. However, Mayor Treyat did tell her about an incident in May 1943, when he'd given two men the use of an old derelict house of his to conduct what they called a “grand coup”. With them they had taken drink, some glasses, newspapers to cover the windows and an electrical cable: Treyat had volunteered to help with their work, but they told him it would be too dangerous. On June 23, a farmer went to use the well by the house and found the body and an electrical cable floating in it. Treyat knew these men as Jean Trudeau and Albert Lefevre: these were the aliases of Rat and Goat, cover identities supplied by SOE for their mission. British newspapers picked up on Mrs Lord's hunt for the truth, and the French press speculated that Lord might have been executed on the orders of the War Office (though some conspiracy theorists prefer to believe that SOE had no qualms about killing its own agents, the SOE files show that no orders were ever considered or sanctioned for Lord's assassination, indeed the Belgian Section was as clueless as everyone about Lord's fate). After Mrs Lord's return to London, Scotland Yard sent two detectives to Tanus to examine the evidence; in his official history SOE in the Low Countries, M.R.D. Foot states that one of them was William “Jim” Skardon, better known as the MI5 interrogator of Klaus Fuchs and the Cambridge Spies. According to Foot, it was Skardon's interview with Waddington that extracted a confession that he and Vivian had been present at Lord's death, as Treyat's testimony had already suggested (Waddington claimed that Vivian had been the sole assassin, though he did admit to having helped Vivian throw the body into the well). A statement issued by the Foreign Office in December 1947 merely recorded that Lord's murder had not been instigated by the British government, and that no evidence suggested he had betrayed his mission or his companions. Waddington's role in the cover-up of Lord's murder may have gone even further. He undertook a second mission in 1944, and was in Belgium just after the liberation of Antwerp, during which time a young British soldier was reported to have visited the offices of the Guaranty Trust Company of New York, where Lord had worked before the war. The porter, who remembered Lord, had been informed by the soldier that “as far as Mr Lord is concerned, you are going to see him in a few hours. He is in Antwerp and has just been to see his bungalow”. The Belgian Section officer dealing with Lord's case found the coincidence of Waddington's location, and the anonymous attempt to disinform the company that Lord was still alive, “troubling”, though no further action was taken. This evidence only came to light some months after Waddington's service had been recognised with a military MBE, awarded in late 1945. The citation described him as “the most successful wireless operator ever put into Belgium” by SOE. A final mystery remains in Waddington's file: shortly before the award was given, MI5 notified SOE that Waddington had been a member of the National Socialist League and an associate of William Joyce, better known as Lord Haw-Haw (MI5 routinely vetted prospective agents as a part of the SOE recruitment process, but checks made on Waddington in April 1942 had revealed nothing). I'd be very interested if anyone has any more information that I can pass on to Lord's family.